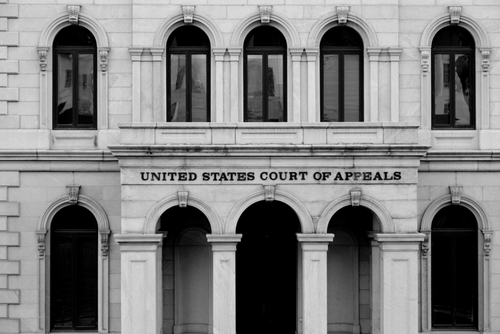 The U.S. 4th Circuit Court of Appeals yesterday rejected a lawsuit by Virginia’s attorney general challenging the 2010 health care reform law. The three-judge panel did not rule on the case's merits, but instead said that the state lacked standing to bring suit since it hadn't been harmed by the law. Virginia Attorney General Ken Cuccinelli (R) had argued that the Affordable Care Act violated a state law enacted specifically to block the federal health reform law and signed the day after the health reform law was signed. “If we were to adopt Virginia’s standing theory, each state could become a roving constitutional watchdog of sorts; no issue, no matter how generalized or quintessentially political, would fall beyond a state’s power to litigate in federal court,” said Judge Diana Gribbon Motz. The court also rejected a separate suit against the reform law by Liberty University in Lynchburg, Va. In that case, the court ruled that the penalty the law requires of individuals who don’t buy health insurance was equivalent to a tax. It said a tax cannot be challenged in court before it is collected. To read about the outcome of other legal challenges to the health care law, see Psychiatric News at http://pn.psychiatryonline.org/content/46/10/17.1.full.